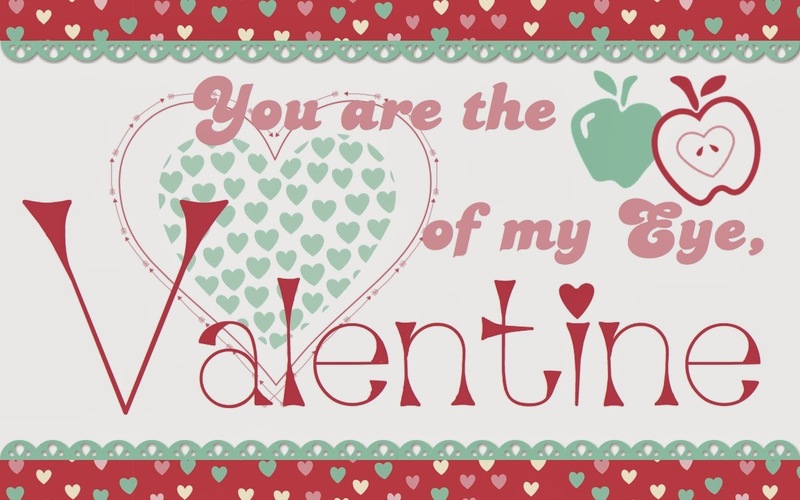 Have you scrapped your Valentine's day yet? If not, I've got just the inspiration for you today. Check out all the sparkle! 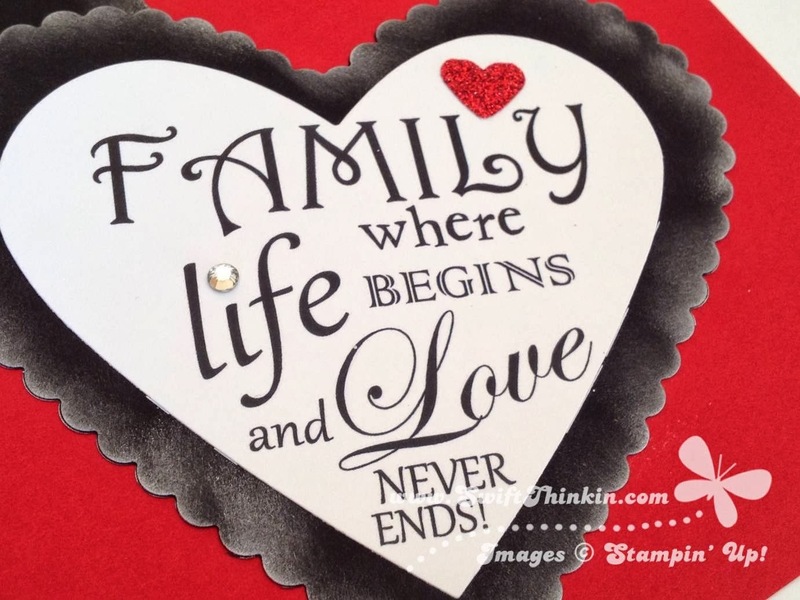 The family verse embellishments are actually printed up from MDS. Oh yes that is right. MDS is perfect for this task- since you can increase the stamp brushes (the new .svg ones) as big as you want, you are not limited by the size of a stamp for this sort of task. You can really make it fit your needs. 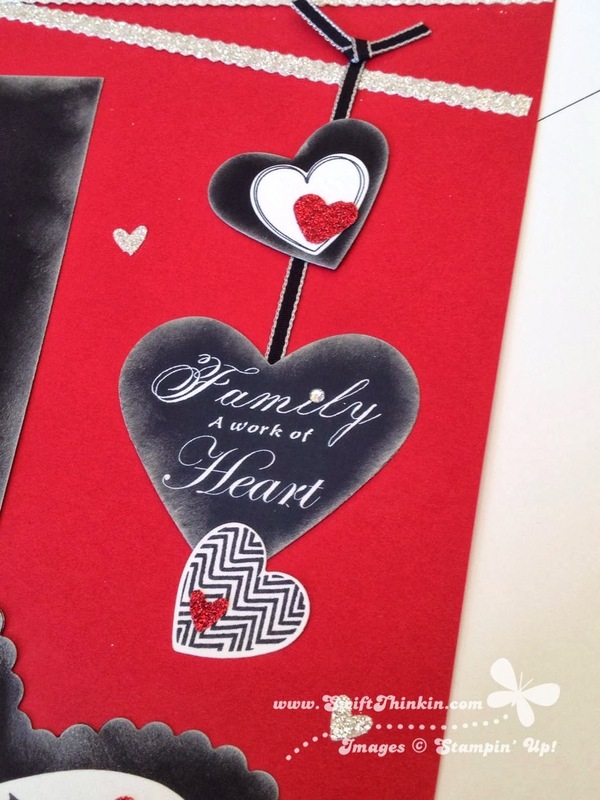 The page also uses many of the Hearts Collection and Hearts A Flutter (with matching stamp set) framelits. My favorite is this hanging cluster of embellishments. 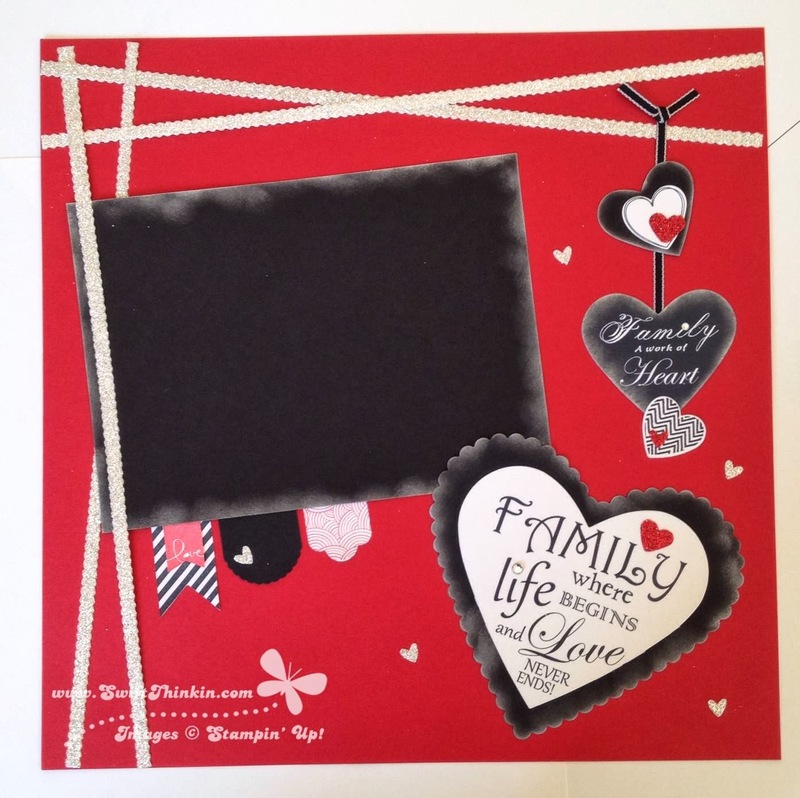 It is a nice way to group bits and pieces together by making them appear to 'hang' on the ribbon. Hope you enjoyed! Be sure to flutterby again. There is still more to come. Everyone got to make a set of the five watercolor notecards. Have you seen these guys yet? 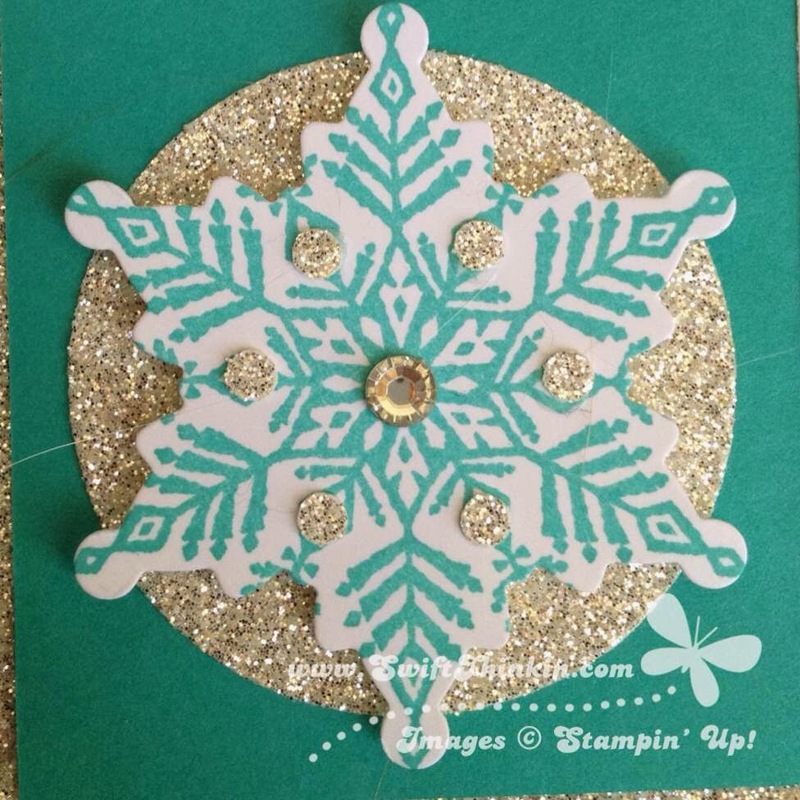 They are so fun and make great simple card bases- not to mention come in a set of 20 WITH the envelopes. Talk about a great deal. 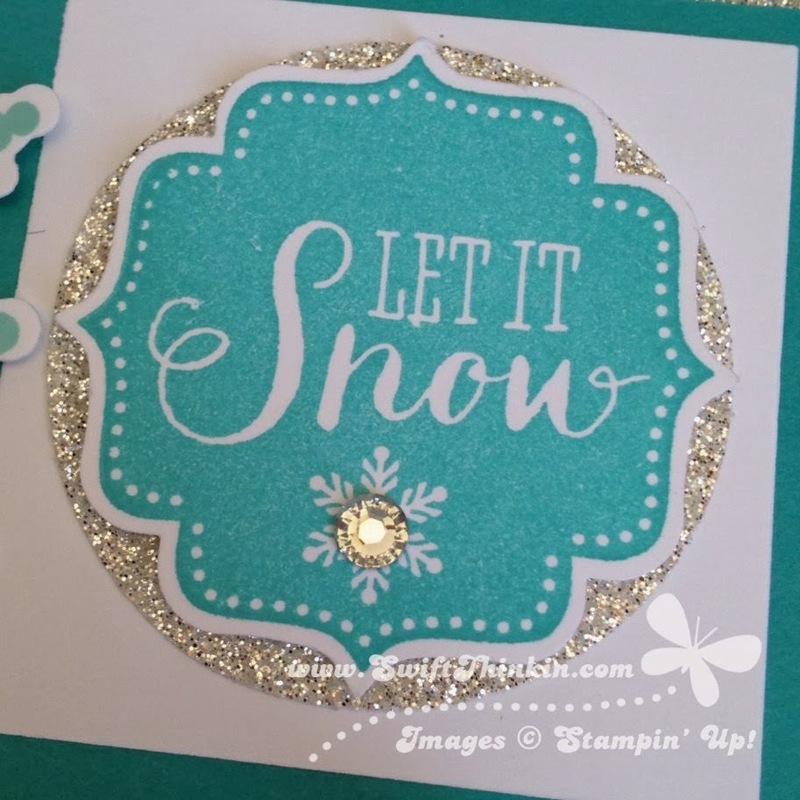 Paired with the notecards is the Peaceful Petals and See Ya Later stamp sets. The later is actually a FREE sale-a-bration set. Woot, Woot! Hope this inspires you to try out the watercolor notecards. And don't forget- when you order them if you make a bundle worth $50 you can get a free Sale-a-bration item too! (I highly suggest the alligator... as has been established, he is adorale!). So what did we make? Well let me take you on a tour of our projects :) I'll begin with the 'small' 3-D objects that the women got to make. First, there were the washi tape candles. All you need is some washi tape and little votive candles. Just wrap a small piece of the tape around the candle's base. If the tape is too wide, the extra can be flattened around the end onto the bottom. Simple and cute! Next we had the favor ideas table. They got to make a little nugget holder and a Rolo flower. 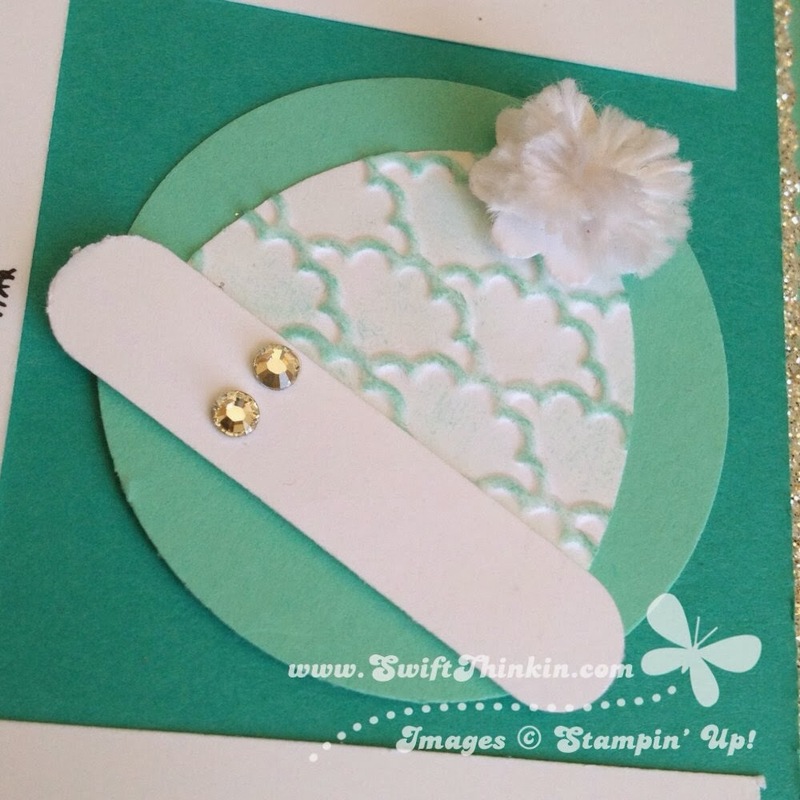 The nugget holder uses the new Scalloped Tag Topper punch. With this new punch you can cut a strip of paper to whatever length you want a tag to be, and then add a cute end to it (or in this case we punched both ends and wrapped it up around the chocolate nugget). 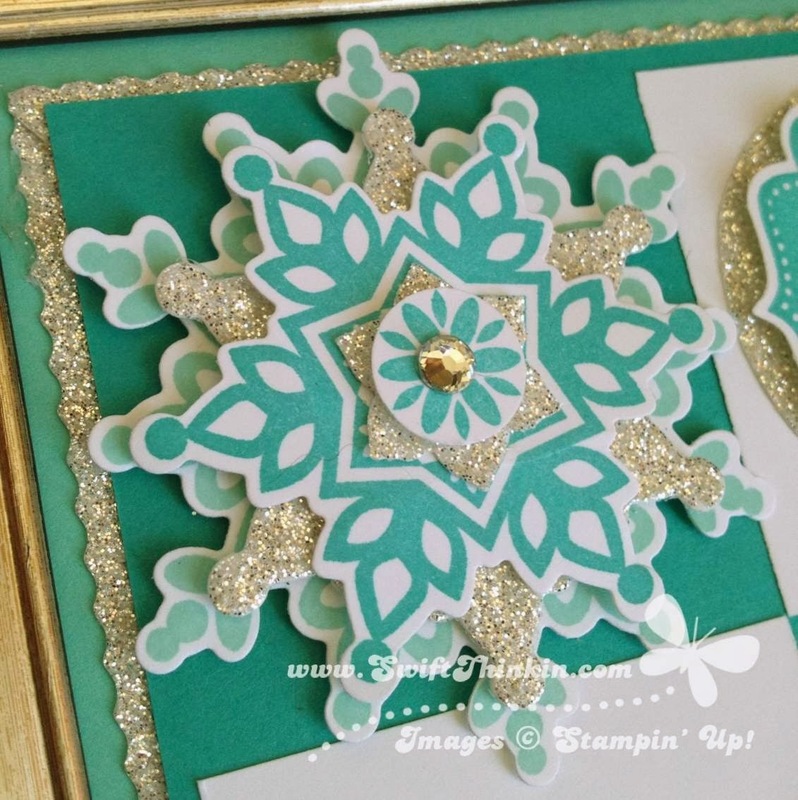 The Rolo flower uses the Mixed Bunch stamp set and the Petite Petals stamp set, as well as their matching punches. Do you see the small flower? If not look closely at the little butterfly.... yup that's right there it is :) The antenna is really just one of the petals with a triangle cut out of the middle of it. Isn't he cute!!! I've got a great combo for you today. The Watercolor Wonder Notecards and See Ya Later FREE stamp set. Aren't they a fun together? 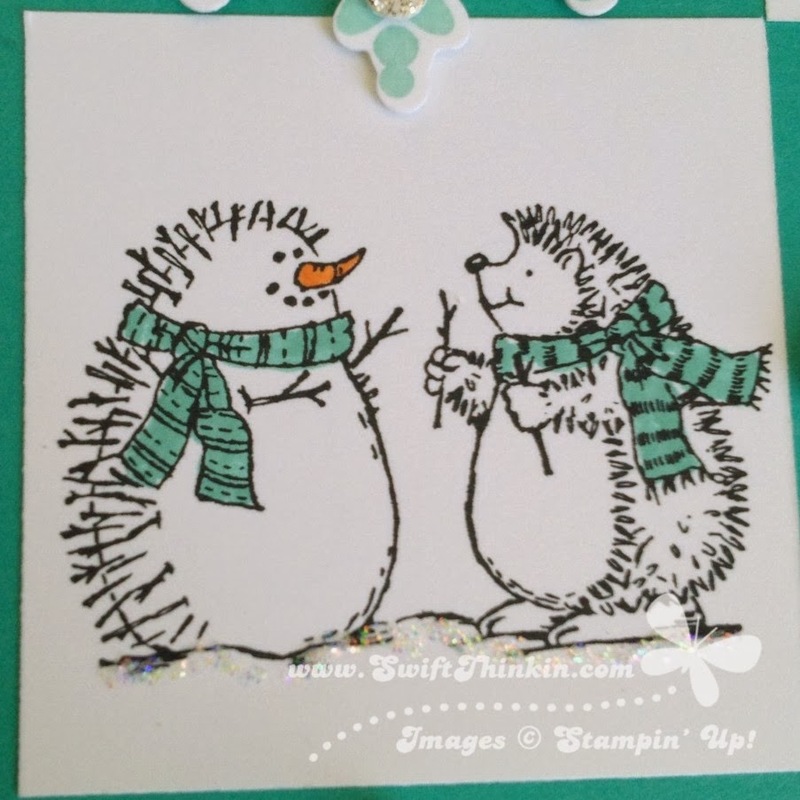 I received this card in our group's spring swap, from our team leader Patsy Waggoner. This rainbow inspired notecard goes really well with the 'when sky's are grey' saying. Doesn't a rainbow make you feel just HAPPY after a storm too? 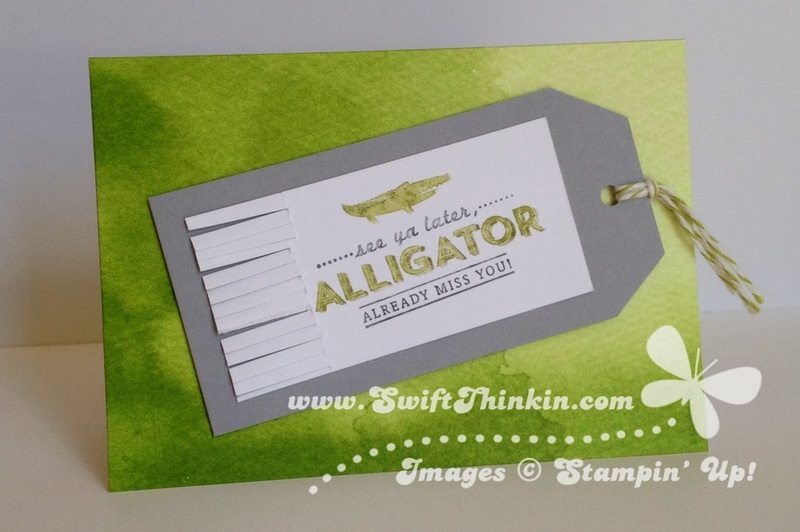 I've also seen the green notecard paired with the 'See ya later Alligator' saying and it is super cute. 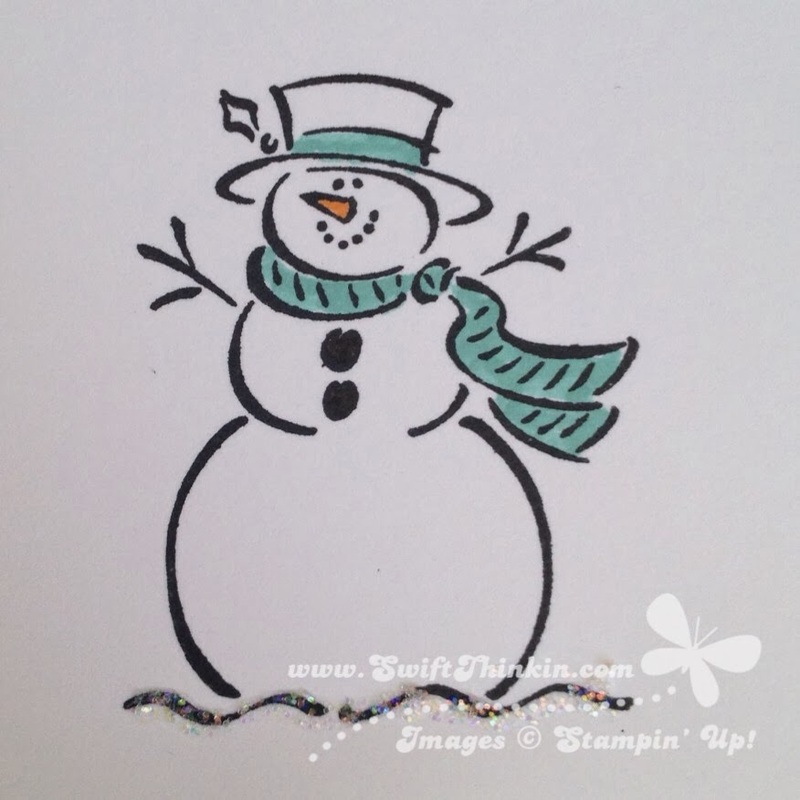 I've got at least one more awesome Sale-a-bration swap card for you yet this week, so make sure you flutterby again! I love giving my kids 'treats' that are actually healthy (just don't tell them that- they think I'm giving in to dessert all the time ;) ). Well, since she loves them so much I thought- hey, why not use them for her Valentines. I bet all the kids would love a little V-day squeeze. So I whipped up these MDS tags to tie onto them. Didn't they turn out cute! And here they are after she helped me tie them on. I bet she is going to have a blast giving these to her friends at daycare. Bonus- do you want to make some too? 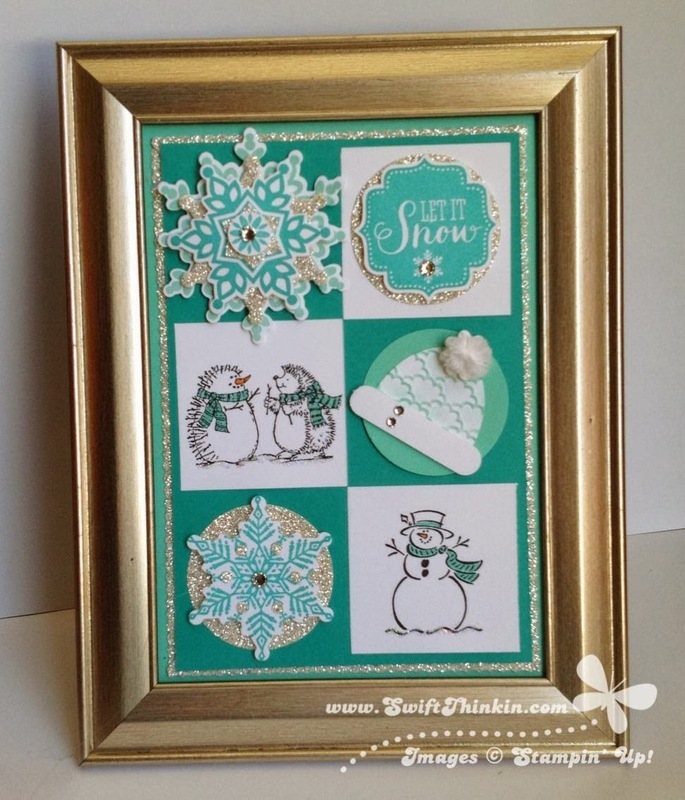 Just click HERE for the printable. Enjoy!